David Sadava is the Pritzker Family Foundation Professor of Biology, Emeritus at the Keck Science Center of Claremont McKenna, Pitzer, and Scripps, three of The Claremont Colleges. In addition, he is Adjunct Professor of Cancer Cell Biology at the City of Hope Medical Center in Duarte, California. Twice winner of the Huntoon Award for superior teaching, Dr. Sadava has taught courses on introductory biology, biotechnology, biochemistry, cell biology, molecular biology, plant biology, and cancer biology. 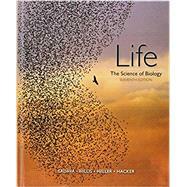 In addition to Life: The Science of Biology and Principles of Life, he is the author or coauthor of books on cell biology and on plants, genes, and crop biotechnology. His research has resulted in many papers coauthored with his students, on topics ranging from plant biochemistry to pharmacology of narcotic analgesics to human genetic diseases. For the past 20 years, he has investigated multidrug resistance in human small-cell lung cancer with a view to understanding and overcoming this clinical challenge. At the City of Hope, his current work focuses on new anti-cancer agents from plants. He is the featured lecturer in “Understanding Genetics: DNA, Genes and their Real-World Applications” and “What Science Knows About Cancer” video courses for The Great Courses series. David M. Hillis is the Alfred W. Roark Centennial Professor in Integrative Biology and the Director of the Dean’s Scholars Program at the University of Texas at Austin, where he also has directed the School of Biological Sciences and the Center for Computational Biology and Bioinformatics. Dr. Hillis has taught courses in introductory biology, genetics, evolution, systematics, and biodiversity. He has been elected to the National Academy of Sciences and the American Academy of Arts and Sciences, awarded a John D. and Catherine T. MacArthur fellowship, and has served as President of the Society for the Study of Evolution and of the Society of Systematic Biologists. He served on the National Research Council committee that wrote the report BIO 2010: Transforming Undergraduate Biology Education for Research Biologists, and he serves on the Executive Committee of the National Academies Scientific Teaching Alliance. His research interests span much of evolutionary biology, including experimental studies of viral evolution, empirical studies of natural molecular evolution, applications of phylogenetics, analyses of biodiversity, and evolutionary modeling. He is particularly interested in teaching and research about the practical applications of evolutionary biology. H. Craig Heller is the Lorry I. Lokey/Business Wire Professor in Biological Sciences and Human Biology at Stanford University. He has taught neurobiology and physiology in the core biology courses at Stanford since 1972 and served as Director of the Program in Human Biology, Chairman of the Biology Department, and Associate Dean of Research. Dr. Heller is a fellow of the American Association for the Advancement of Science and a recipient of the Walter J. Gores Award for excellence in teaching and the Kenneth Cuthbertson Award for Exceptional Service to Stanford University. His research is on the neurobiology of sleep and circadian rhythms, mammalian hibernation, the regulation of body temperature, the physiology of human performance, and the neurobiology of learning and memory. He has done research on many species and problems ranging from sleeping kangaroo rats, diving seals, hibernating bears and squirrels, photoperiodic hamsters, and exercising athletes. Dr. Heller has extended his enthusiasm for promoting active learning via the development of a two-year curriculum in human biology for the middle grades and through the production of Virtual Labs—interactive computer-based modules to teach physiology.